Acupuncture is an ancient medical art form developed in eastern Asia. We use this technique to tap into to qi (chee) systems of the body, and redirect them for various reasons. These pathways are called meridians and most health problems show up in the meridians. By moving the qi with acupuncture, the body can be restored back into balance. Acupuncture treats so many conditions I could never list them all here, and I consider it to be an indispensable part of my practice, no matter what kind of suffering or imbalance you’re experiencing. 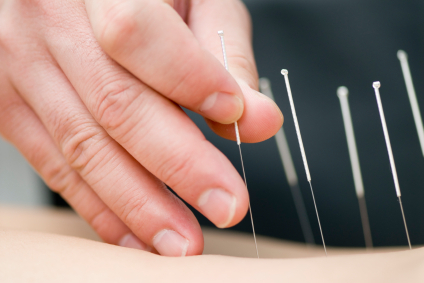 Most people are familiar with acupuncture for pain, but it goes way beyond that! Many newbies to acupuncture who come to see me are concerned that it will hurt, or that the needles will be large and intrusive. An acupuncture needle is fairly close in size to that of a human hair. Acupuncture is delicate, highly precise energy work. The needles I choose are high quality, single use, coated needles in a size that is appropriate for your sensitivity level. If you are very sensitive, I will use smaller needles! Holistic medicine means there is no one-size-fits-all approach, and that includes the needles! Some people are more sensitive than others and require that extra special gentle touch! This technique works by building new relationships between the energy points of the body, forming new networks that have impacts on the way we think and feel, and improving our inner communication. Some call these patterns “sacred geometry”, which are ancient grids that cause energy to move in special ways. When we apply these patterns to the energy grid of the body, called “installing a pattern”, it results in shifts in perspective, the release of old patterns of being, and a general sense of expansiveness. This technique is one of my specialties and I love working with it whenever possible. Ultimately, any good healing work should shift consciousness, and after years of study and practice, Esoteric Acupuncture is a core tool in my practice. This acupuncture modality operates on the principle of the ancient Chinese five elements: wood, fire, earth, metal and water. Each element corresponds to an organ, a flavour, and a sensation, a treatment method, and many other qualities. These methods of diagnosing and treating within the Traditional Chinese Medical model have been around since ancient times. When I work with you, I’ll figure out which elements are too strong, too weak, and just right! For example, a person with excess fire may be hyperactive, have high blood pressure, feel hot all the time, and have heart disturbances. We would balance this person, perhaps, by using the principles of the water element in the treatment as well as in lifestyle. This is a classical method and very key to a good TCM practice!